Dave Gauger is president of Gauger Media Service, Inc., a print media brokerage and consulting firm with offices in Raymond, Washington and Hesperia, California. GMS has confidentially managed sale transactions in the print media throughout North America since 1987, including newspapers, shoppers, trade journals, niche publications and magazines. The firm also provides publishing business appraisals for partnerships, mergers, estate planning, estate taxes, and divorces. Prior to forming GMS Dave owned and operated a group of five award-winning newspapers in contiguous markets. Dave also designed and operated for several years a central web printing plant. Dave was elected president of the Washington Newspaper Publishers Association. 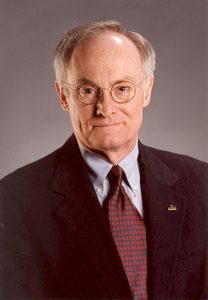 He served on the board of trustees for both WNPA and WNPA Services, Inc., a publisher-owned advertising rep firm. Dave also was elected by his peers to serve as president of WNPA Services, Inc. While at the helm of “Services” he engineered the nation’s first association sponsored statewide classified advertising program now used as a model throughout the U.S.
Dave served on the University of Washington School of Communications visiting committee; Washington State University Newspaper Publisher-in-Residence program; and Southwest Washington editorial advisory committee for KCTSeatttle Channel 9 public television. For many years Dave represented his state’s community newspaper publishers on the Bench-Bar-Press Committee. Dave has organized and taught newspaper management, advertising and news workshops and seminars. He instructed in the annual WNPA-Allied Daily Newspaper sponsored Newspaper-in-Education classes. Dave is a graduate of Hastings College in Hastings, Nebraska, and holds a BA degree in History with minors in English and philosophy. Dave’s media career began in broadcasting in high school and continued through college where he worked as a TV director for an NBC affiliate. While newspaper publishing has been his primary focus since completing a five-year stint as a Naval Aviator following college, Dave put an FM radio station on the air and operated it in conjunction with his publishing properties. Currently on board of directors of The McClatchy Company (3rd largest newspaper publisher in U.S.) and represents McClatchy’s 49.5% ownership interest in The Seattle Times by serving on that board of directors.